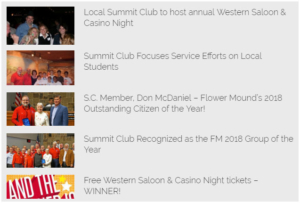 The Summit Club is a fun group that works to give back to the community. We would love for you to join. Please complete and submit the membership application form below. The more you can tell us, the better. The application will be reviewed and, if approved, you will be be given access to the Members Portal. From there, you can pay your membership dues of $60 / year.